Converting your loft in will not only give you lots more space, it will also add to the resale value of your home. Here are some tips to ensure that the process goes smoothly. 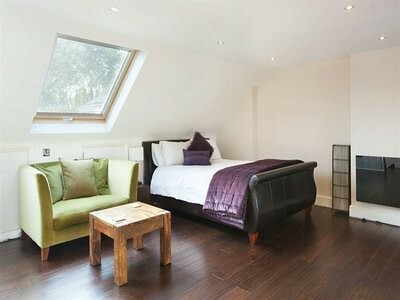 Loft conversions can be a cost-effective and simple way of adding value to your home, especially if you live in London. These days, it makes a lot more sense to improve the home that you already have rather than going through the hassle of selling and buying a new house. Most of the time converting a loft is cheaper than building an extension and it does not require planning permission. There are many cases where up to 30% of the space in the home is in the attic. If you can convert this space you will gain so much more square footage and have room for another entertainment room, office, bedroom or anything else. Although this depends on the property, adding a loft can sometimes increase the selling value of your house by up to 20%. Homeowners will pay more for useable space and converting your loft will cost an average of £10,000 and increase your property values by an average of £20,000. The maths really will be in your favour! London has the highest house prices in the country and converting your loft will make your house even more valuable, as long as you don’t get carried away and spend more on the loft conversion than you will recover when you sell your home. Adding another room to the home can add value to the real estate, but it can also earn you some extra income by providing you with another bedroom to rent out. Or, it could give you and your growing family the extra space that you desperately need. It takes a bit of time to find a contractor that you trust and go through the loft conversion process, but when you do the end result will be well worth your effort. Here are some tips that will help you get the most out of your conversion. Do your research and have a clear plan for what you want before you begin. Meet with an architect and explain exactly what purpose you want the room to serve and what features you are looking for. Collect quotes from a number of builders so that you can make sure that you are getting the right price. Choosing the right company is very important, because you will want to work with someone who you can trust and who will listen to what you need so that you will be happy with the finished product. Don’t let them talk you into fancy features that you don’t need, be clear about what you want. Before you begin, check whether or not you require planning permission to turn your loft into living space. You might need to apply for this and getting approved can take some time. Make sure you get an estimate of how much everything will cost before you begin, so that you don’t get surprises later. Don’t forget about light sockets and other electrical needs. If you will be using the loft conversion as a study or a home office you will need to plug in lots more electronics than if it is a bedroom. Always write up a contract before you let the builders begin working on your loft conversion. This will ensure that there is no confusion and that everyone is on the same page. It is also important to think about how the fire safety aspects of your loft, so be sure to ask your architect about this. The final tip is to be patient. Loft conversions can take several weeks and you will have to put up with knocking, banging, hammering and strange builders in your home. However, once the dust has settled your new space will be so worth it. Loft conversions North London can greatly increase the value of your home, as well as provide you with extra living space. Choosing the Right Radiators to Heat Your Home Effectively Rigid Vs Flexible PVC – Which Is Best?